Hahahhaa. That’s all I feel like saying. This is absolutely amazing a victory. We not only defeated South Africa, we literally crushed them in their own home ground. Well, I should probably say all this after we win the series but I just cannot help it. I knew we were going in with all those advantages that I had mentioned earlier but I honestly did not expect the Proteas to collapse like this. A wonderful performance by the men in blue. Now enough with the adjectives. Let’s see what happened. India won the toss and decided to bowl. The opening partnership between Amla and Q de Kock looked promising. With a scoring rate of 72 and 56, the openers looked like they were on their way to a high score. And then India hit a breakthrough. Aideen didn’t quite make his mark. Probably all that pressure from being made to lead the team after having played only two ODI matches. I mean no offense, but even Sachin Tendulkar did not like that pressure. After having played cricket from the tender age of 16. After making his debut against mighty Pakistan. (well back in the 90’s, they did have a really good team). Dumini and Zondo tried their best. The rest just pulled a Pakistan and crumbled under pressure. With no individual score even touching 30, India was given a target of 119. Now, there was no reason for India to get all overconfident. There was a possibility that the pitch could also make the Indians tumble. But the men in blue played with a clear cool head. While Rohit Sharma got out at 15, Shikhar Dhawan and Virat Kohli took the team home in a smooth cool manner ( the lunch break with two runs to win was a little why????? But whatever). India wins by nine wickets. Wrist spinners the key. 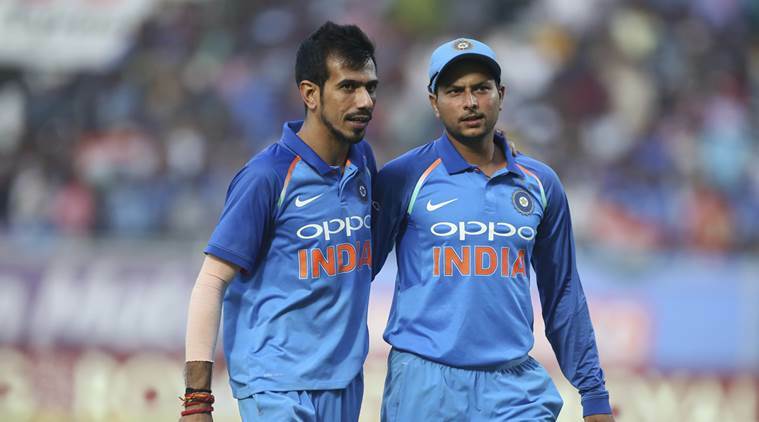 Y Chahal’s five-wicket haul along with Kuldeep Yadav’s three put India on the winning path. You should see the econ rate. It is phenomenal. Y Chahal - 2.64. Kuldeep Yadav - 3.33. Course when the opposition falls in less than 33 overs, it does help too.